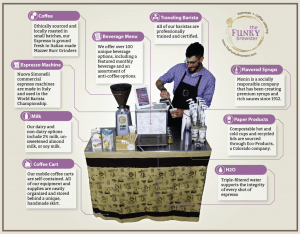 The Funky Brewster Coffee Catering was born out of a passion to bring high-quality coffee and espresso drinks into any location. Our purpose: to create an environment to help people connect. 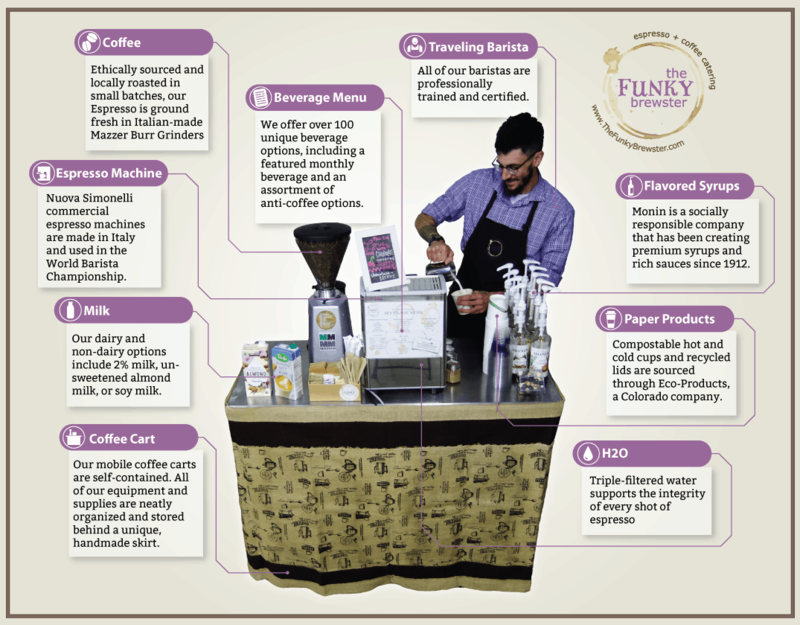 As a result, our espresso and coffee carts are at the center of our business. 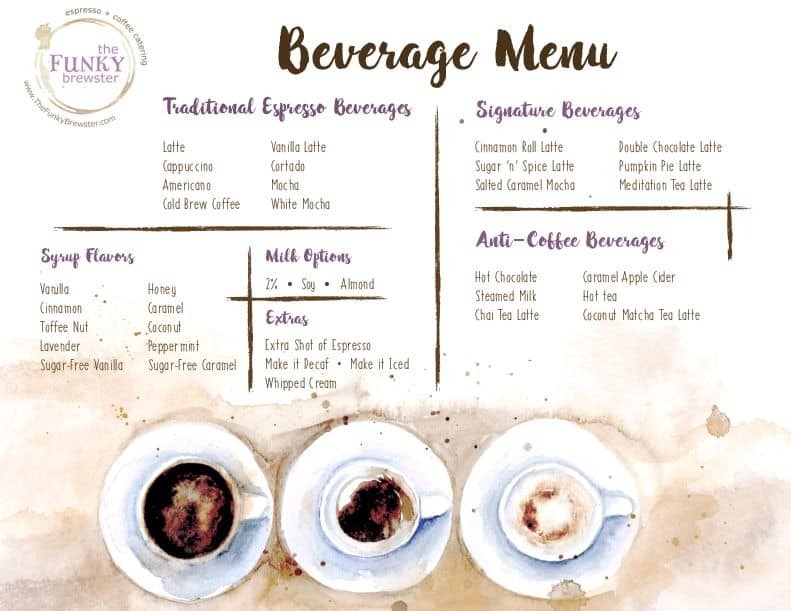 Our core service includes hand crafted lattes, cappuccinos, americanos, cold brew, and signature espresso beverages. Cinnamon Roll Lattes and Salted Caramel Mochas sit a top the list of our clients’ favorites. Of course, we can craft all of our espresso beverages as hot or iced, decaf or regular. We also offer an “anti-coffee” menu for those who would like a coffee alternative. Other options include hot chocolate, caramel apple cider, and chai tea lattes. 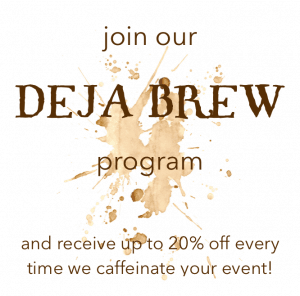 *Please refer to our Pricing pages for more information on additional beverage options.